One of Ireland's top makeup artists came to Letterkenny this week to share insider tips to some of the hottest looks of the year. 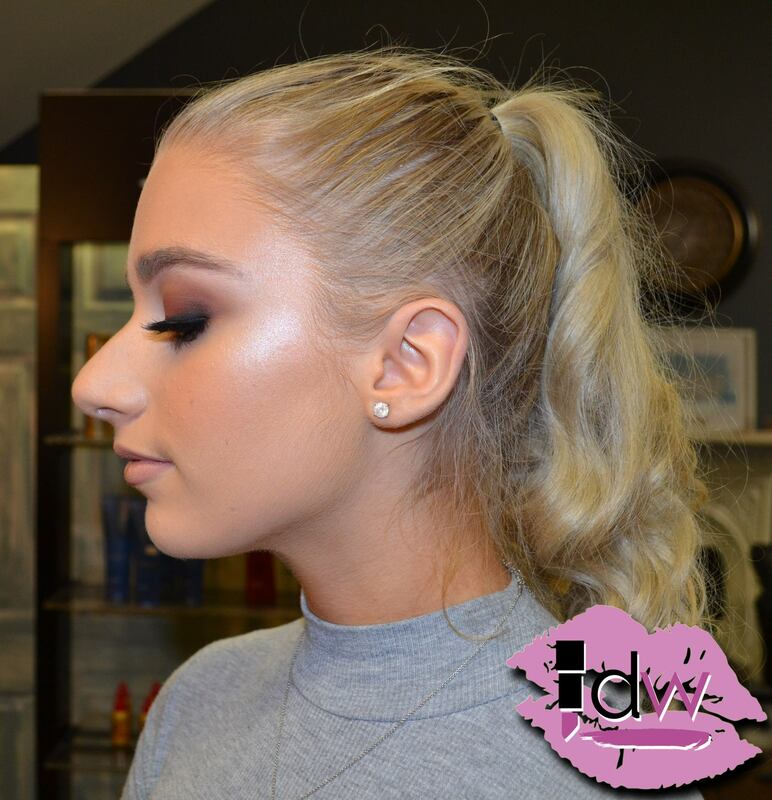 There were makeup tips galore when Inglot Pro Team member and star MUA Keilidh Cashell visited G&G salon for an intimate masterclass on Monday, 8th January. Aoibheann Walsh and her team welcomed twenty guests to the sparkling celebration that had a festive party theme – just like the looks that Keilidh created. Keilidh gave a live tutorial for some stunning looks: from Christmas glam, a sultry Kardashian-inspired Hollywood look and a colourful cut-crease glitter eye. Many people will know Keilidh from her huge social media following. Her Halloween looks become trending posts year-on-year and her Game of Thrones dragon eye gained viral fame in 2017. With G&G’s own Kirsty O’Donnell as her model, Keilidh demonstrated how to blend eyes to perfection and achieve striking colour pops and holographic glitter liners. She shared the secrets to supermodel glossy skin. She also gave handy high-end/high-street dupes for everyone to her best-recommended products, no matter their budget. Keilidh had many hints and tricks to share with everyone – like how to find your own best colours to make eyes stand out, how to adjust eyeshadow to suit your eye shape and what are the real best brushes/blenders for application. All the lucky masterclass attendees were given a G&G goodie bag and there were prizes for the best social media posts on the night. The evening ended with a Q&A and a selfie-session, as Keilidh’s biggest fans got a unique chance to snap a photo with her. Check out the photos below, and scroll on for a product list by Keilidh from her stand-out glitter colour eye! Do you have an event you want to see on Donegal Woman? Email us on news@donegalwoman.ie to let us know.